Where is this Milestone? 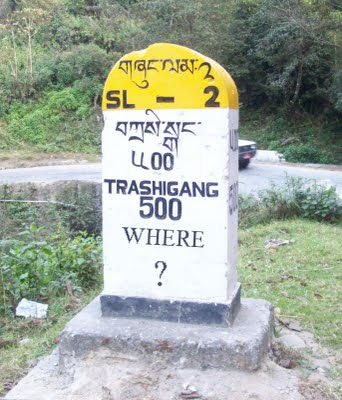 It's a notable spot, exactly 500 Km from Tashigang. The winner of my quiz will get...I don't know what I have that I can give you...Forget the prize, give the answer and be satisfied! The Answer to My Quiz!